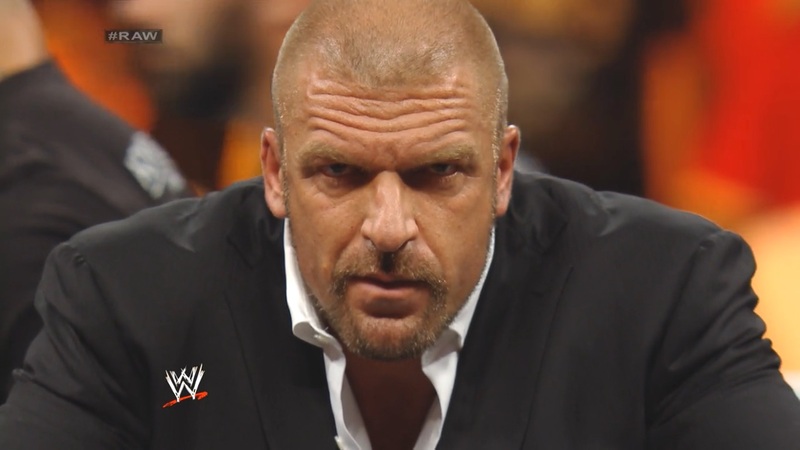 If you don't like Triple H, then well, you just don't like fun. Arnold was born in Ottumwa, Iowa to Jack Arnold and Linda Kay Graham Arnold Paxton Purdon McCombs Heiford Collier. His mother was an alcoholic. When he was 23, he was doing stand-up comedy in Minneapolis. He met Roseanne Barr when she saw his act. Arnold was a stand-up comic who became a writer for the popular television sitcom Roseanne (which debuted in 1988). He married the show's star, Roseanne Barr, in 1990, after she divorced her first husband. He appeared occasionally on the show as the character "Arnie Thomas" (a spoof of his name). The couple's marriage attracted media and especially tabloid attention due to their sometimes outrageous behavior. In 1992 Arnold starred in his own sitcom, The Jackie Thomas Show. Airing after Roseanne on ABC, the show lasted 18 episodes. In 1993, Arnold and Barr bought a house together in Arnold's hometown of Ottumwa and opened a restaurant in nearby Eldon, Iowa. Both appeared in the 1993 movie The Woman Who Loved Elvis, which was filmed in Ottumwa. Arnold and Barr divorced in 1994, and their restaurant closed in 1995. In 1994, Arnold appeared as the sidekick to Arnold Schwarzenegger's character in the James Cameron feature film True Lies. He later supported Schwarzenegger's bid for the California governorship. He played the father on the Outer Limits episode "Family Values." His role in True Lies was parodied in an episode of The Simpsons, where washed-up actor Troy McClure makes a comeback in a McBain movie. The Simpsons has also shown Tom Arnold among the people sent to the Sun in a rocket, in their 10th Halloween episode. Arnold was the host of Fox Sports Net's talk show Best Damn Sports Show Period and has provided the voice for Arby's "Oven Mitt" character in television commercials for the fast-food chain. As host, Arnold was involved in the April Fool's day "fight" on the show. Arnold, who had Jewish ancestors named Cohen on his maternal grandfather's side, converted to Judaism upon marrying Barr. He went through a rigorous cardiovascular training program in 2005, losing nearly 70 lb (30 kg). The new svelte Arnold had his first romantic leading man part in the 2005 movie Happy Endings. In 2005, Arnold also starred in The Kid & I, which paired him with Eric Gores, the son of Alec Gores, a billionaire technology investor and founder of the Gores Technology Group, best known for its acquisition and resale of Brøderbund. The younger Gores has cerebral palsy and his father hired Tom Arnold, their neighbor in Beverly Hills, to make a sequel to Eric's favorite film, True Lies (in which Tom Arnold had co-starred). The plot of The Kid & I closely parallels the actual situation. On July 2, 2006, Arnold made a special appearance in Ames, Iowa for the USA National Special Olympic Games. Arnold was once married to Southgate, Michigan native Julie Champnella. During the marriage Arnold and Champnella were frequently spotted at local Downriver hotspots. On August 28, 2006, Arnold and his wife, Shelby Roos, announced their separation. On October 25, 2006, in an interview on the Adam Carolla Show, Arnold stated he and his wife are in counseling and living in the same home. I like The Best Damn Sports Show Period. Soon as you've only had one reply I'll contribute. He's a funny guy. Can't remember too many of his films, but Romantic Comedy 101 and the one with the kids in the van were pretty decent. Overally good actor... But there are definitly better out there IMO. WHAT SKELETONS COULD WE HAVE, THAT WE DON'T ALREADY HAVE?